It’s been a big few months for Labour and for the man with arguably the biggest job in the shadow cabinet, Keir Starmer. After the results of the snap general election in June, Labour is tantalisingly and surprisingly close to power and the party’s stance on Britain’s decision to leave the EU has never been under more scrutiny. In all this, the former human rights lawyer has gone from being something of an afterthought in the Brexit debate to being one of the key players. 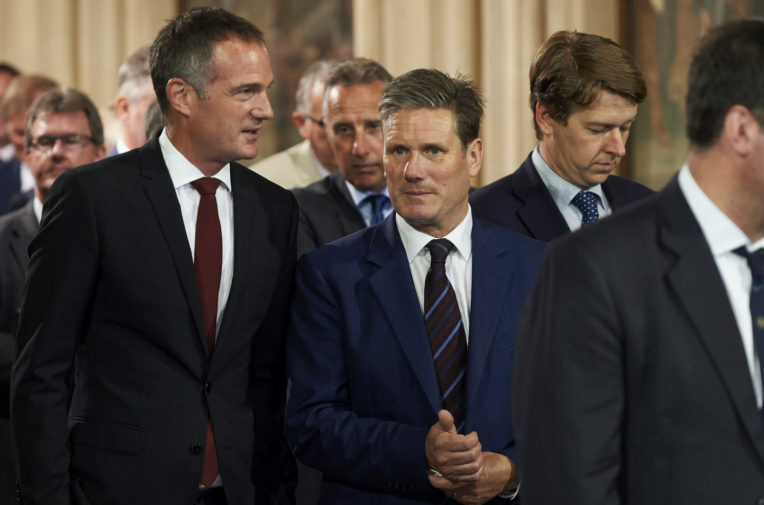 Unearthed went to Starmer’s office in Whitehall just a few days before he was due to deliver a major speech at the Labour Party conference in Brighton, to try to get a better understanding of what a Labour Brexit would look like. “No deal is not viable,” says Starmer, when addressing Theresa May’s former favourite soundbite. “If we literally reached no deal, it means we’ve got no deal on trade. No deal on security, no framework for dealing with our colleagues on important counter-terrorism work going on 24/7. It’s unthinkable we could put ourselves in that position. It means we’ve got no deal on Northern Ireland and we don’t know what’s going to happen at the border. But what if Labour came to power and was unable to negotiate a trade deal with Brussels? “If the Labour party comes to power and we are negotiating, we would be able to reach a deal,” he argues. He argues that the government’s Withdrawal bill is a major threat to the environment. “There are really huge challenges with the withdrawal bill because the government is seeking to grab a lot of power for itself. “This is important for the environment, because for a number of years most of the important standards on the environment have been set by the EU, take air quality as one example, and there’s a real danger as we unhook that we lose those standards or don’t keep up. Now the government says ‘don’t worry, we’re going to convert them into our law’. “But what it’s not bringing across is any way to enforce these things. So you keep those rights and protections but you lose the ability to enforce them. And that’s a massive challenge that we have to fight as this bill goes through parliament this autumn. He says Labour will create new regulatory bodies to ensure that Britain’s environmental standards do not fall behind the rest of Europe’s and will collaborate with the EU on climate and environment policy. “The government in the withdrawal bill has envisaged setting up public authorities or giving public authorities particular roles and functions. But they’re going to do all that through delegated legislation, so there’s a huge fight in parliament about who those bodies are going to be. “We’re clear in our manifesto that cooperation and collaboration with the EU on issues like the environment is vital. In other words, we want a progressive partnership with the EU. Withdrawing this all into your own law is necessary, but environmental issues are international issues. “Michael Gove is one of a group of Brexiteers who live in a fantasy world that sees the UK as all-powerful country across the world who can do trade deals with who it likes, without any alignment of standards across the world. This is a fantasy world that he’s living in. It’s a world he shares with Boris Johnson. Labour has been walking a tightrope on Brexit since the referendum to leave the European Union in 2016. Despite the vast majority of the party’s senior figures and almost the entirety of its membership campaigning to remain in the EU, Labour have embraced Brexit. The political battle with the Conservatives has been fought not on reversing the referendum result, but on what kind of deal should be struck with Europe. In this context, Starmer is clear on the differences between his party and the Conservatives. “Those who campaigned the hardest and the longest to leave the EU did so for ideological reasons. They did so in order to enable the UK to deregulate, to strip out these protections. They’re pretty explicit about that, if you look at the leading leave campaigners,” he says. “They say there’s too much red tape, too much bureaucracy, we’d be much more competitive if we didn’t have it. That’s the deregulation agenda. Whereas we in the Labour Party are saying how do we keep up with standards, how do we enforce standards; those that are ideologically driven in the leave campaign are saying let’s get rid of the standards in the first place and not have any enforcement. One of the main fears about Britain leaving the EU for left-of-centre voters has been that the UK would find itself having to forge an alliance with Donald Trump. Theresa May has been heavily criticised a number of occasions for refusing to speak out against some of the Donald Trump’s rhetoric and actions, most recently his failure to fully condemn the violent far-right protests in Charlottesville. 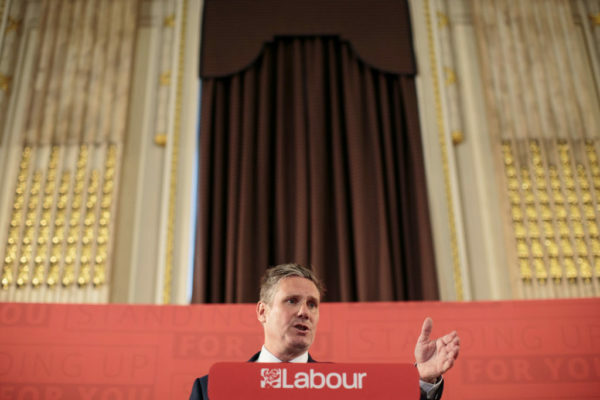 Starmer insists that Labour would speak out if it won the next election. As for the idea that a trade deal with America could weaken UK environmental laws, Starmer has a red line. “There’s been a lot of talk about chlorinated chicken and I wouldn’t be a fan of chlorinated chicken, as I’m a vegetarian. But that is only one example of the problem, there are bigger issues quite frankly. I believe in the global movement to protect the environment and the Paris agreement is critical to that. Chlorinated chicken is an issue, but it isn’t half as big an issue as the Paris agreement and ensuring that any world leader is committed to that. But what would he do if he had to meet the President? And what would a Jeremy Corbyn-Trump summit look like? “You’d probably need to ask Jeremy about that, but I would envisage that Jeremy would be courteous, because Jeremy is always courteous. That’s something that has marked him out. He does not descend into offence and doesn’t take offence. Throughout our conversation, Starmer is deliberate and thoughtful. The former Director of Public Prosecutions, the most senior public prosecutor role in the UK, is still more lawyer than politician having only entered parliament in 2015. Sat in his rather austere parliamentary office, he rarely raises his voice and when we ask him what his values are, he pauses for a moment, not because he’s scrambling for a focus-group ready answer in a kind of Thick of It manner, but because you sense that he’s not that comfortable talking about himself. At the end of the interview, mics off but camera still rolling, we ask whether, deep down, he’d still really like to be in the EU. “Actually, I’m going to give a dad’s answer. I campaigned to stay in the EU and, obviously, I was devastated by the result. “I’ve got two kids, a six-year-old girl and a nine-year-old boy and I was with them the morning after and I was really worried about what sort of world they were going to grow up in, not the technicalities of the customs union or the withdrawal bill or any of that stuff. The instinct is to rub out the result, which is what the Lib Dems have done. But we have to fight. Whatever agreement we get in 2022/23, my kids are going to grow up with it. So what we believe in has got to be in that agreement.